Jeanne (Quan, a wonderfully enthusiastic broker for the Tao, pictured left) deftly navigated the Tao of Tea’s product line for me when I was looking to diversify my ale offerings. I’ve since used green cardamom, the hibiscus-ginger blend, lemon myrtle, and pine smoked black tea for five distinct brews, all of which have been featured in festivals and special events. Though using ingredients outside of hop varieties is not a new concept, it’s pretty staggering to think of all the new styles and flavor profiles that a brewer could create with even a quarter of the herbs and teas Tao offers. I’m only five deep into the catalog, and can’t wait to revisit and tweak the beers I’ve already made, much less move on the next ones. Tao of Tea basically eliminated the chance of me ever getting in a rut with my recipes. The Wild Fermented Raspberry Hibiscus ale (pictured above) will be featured at the upcoming Organic Brewers Festival in Overlook Park, August 13-16, here in Portland, OR. 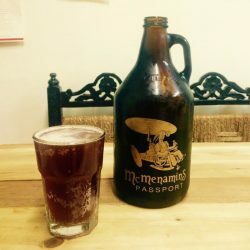 Visit Drew the brewer there or at McMenamins and give it a try! We think this is a tasty sweet-tart fruity beer perfect for a summer day in Portland. 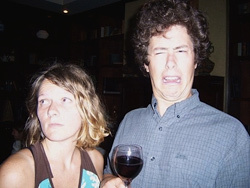 From the McMenamins site: Lloyd “Drew” Phillips is a member of the team at Crystal Brewery. 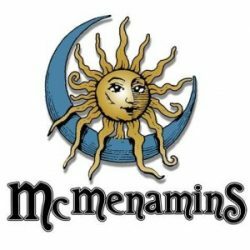 After working at McMenamins for a few years as a pub worker and assistant manager at East Vancouver Pub and Kennedy School Courtyard Restaurant, Drew moved to Edgefield in 2012 as a seasonal brewery assistant. 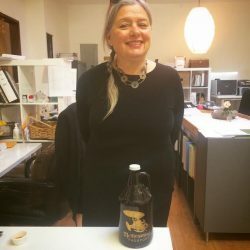 Shortly after, his passion and desire to learn carried him into a full-time brewing position at Edgefield until 2014, when he moved to the Crystal Brewery.